Sennheiser needs no introduction as a headphone manufacturer. Their products keep getting better and better. But so have our audio demands, especially with the new Hi-Res Audio. So Sennheiser has upped their game yet again for Hi-Res Audio. The new Sennheiser HD 630VB is designed for use with Hi-Res Audio. For song selection, we thought we would mix some new school with some old school. We'll start with twenty One Pilots: Heathens, then go to Kansas: Carry On Wayward Son, and Fresh Aire: Going To Another Place. Twenty One Pilots: Heathens, vocals were very natural with excellent texture and resolution and were just a tad bright. Piano was natural with nice tone. Percussion was very dynamic and crisp. Bass was extremely full, had excellent extension, very good impact, and tons of authority. Kansas: Carry On Wayward Son, vocals were extremely smooth with excellent harmonics, resolution, and very natural sounding. Keyboard sounded very natural, crisp, and clean. Cymbals were very dynamic. Kick drum had excellent low end extension with almost chest pounding impact with tons of output. Soundstage was large with very nice imaging. Fresh Aire: Going To Another Place, strings were so crisp and clean they were life-like and highly dynamic. Piano was very natural sounding with excellent harmonics. Flute was silky smooth with tons of air, and plenty of resolution to hear the tonguing. Bass was surprisingly very deep, very full, very clean, and really hit so well that I could actually feel the vibration in the earcups! With an MSRP of $499, the Sennheiser HD 630VB is a premium product, and the build quality shows. I was just surprised that the cable was not detachable at this price point. The sound was just a tad on the warm side overall. And I really liked the controls built-in on the right earcup. I especially liked the bass boost dial where you can choose the amount of boost to your personal preference. I loved this ability. But having it on the max setting often times gave a bass that while loud was slight muddy. The good thing is it has a dial, so when it happens, turn down the bass a little. 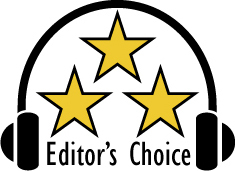 Based on their design, features, quality, and performance, the Sennheiser HD 630VB has earned our Editor's Choice Award. Kudos to Sennheiser on another excellent product. For more info and complete specs, check out their website at www.sennheiser.com.